Amazon’s next-generation eReader is here. Called the all-new Kindle Oasis, the reading device comes boasting a large 7-inch display, a built-in audiobook library, and a cheaper price. The next-gen Kindle Oasis starts at $250 for the 8GB version, which is a bit less than the $290 the previous Oasis retailed for at launch. 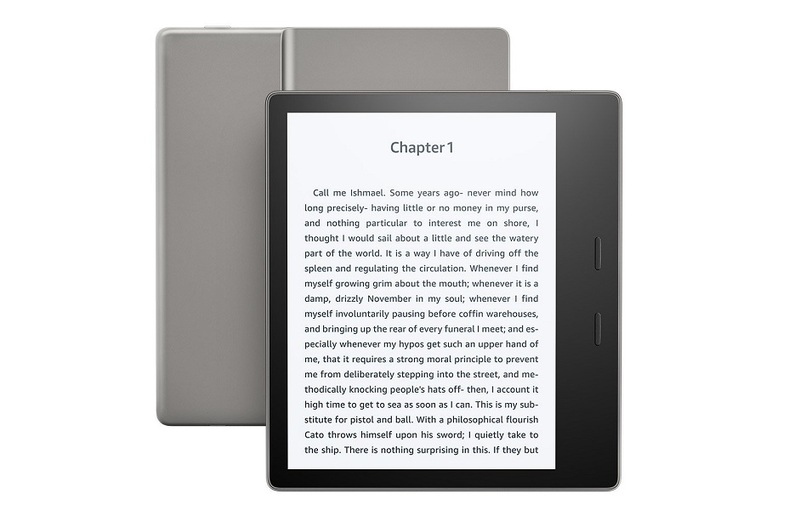 The new Kindle Oasis’ display boasts 300 pixels/inch and 12 LED lights are used to illuminate the screen. It includes a touchscreen panel, as well as a physical button for turning pages. Due to the larger display, the device can now fit over 30% more words per page, which translates into fewer page turns. 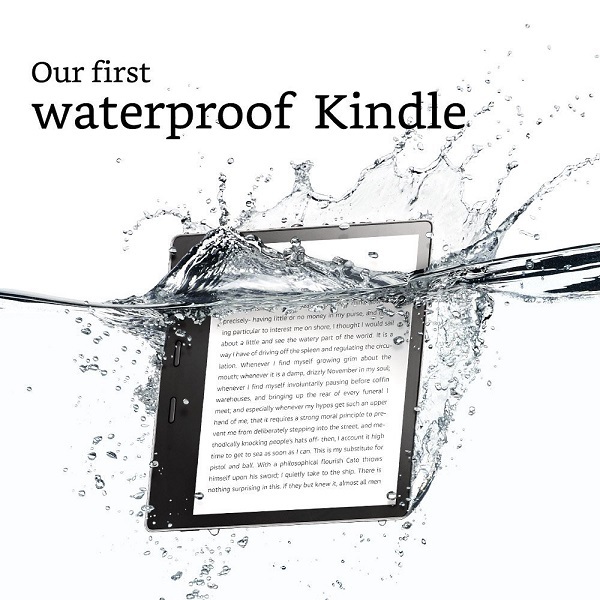 More interestingly – Amazon’s latest Kindle marks a first: it’s the first eReader made by the retail giant that’s waterproof. Basically, it should be able to survive being immersed in up to two meters (approx. 6.6 ft) of water for under 60 minutes, so it’s safe to be taken with you at the pool or at the beach. 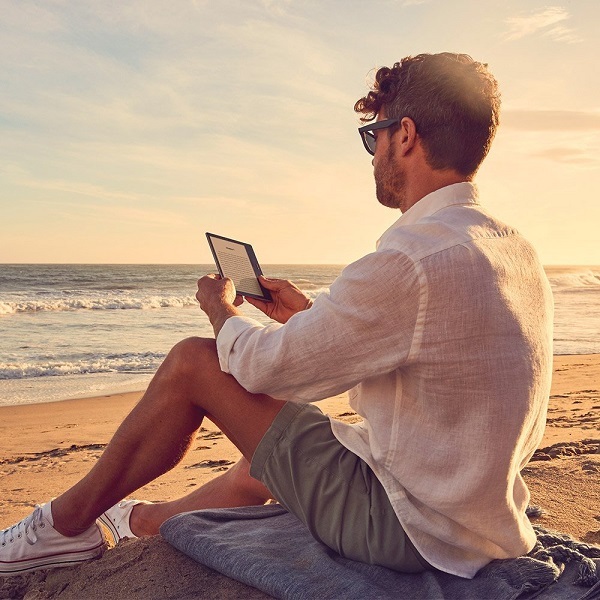 As we mentioned above, new Kindle Oasis users will also be able to tap into a large library of audiobooks which includes more than 375,000 titles via the built-in Audible app. All you have to do is connect the new Kindle with a Bluetooth-enable device (like speakers or headphones) and start listening. Also today Amazon announced a new Kindle software version which adds more font sizes and boldness levels, as well as new accessibility options. You’ll be able to invert black and white on the display (which lets you read white text on a dark background) or increase the size of the text on the home screen or library, as well as book icons. These new features should also land on Amazon’s older eReaders. 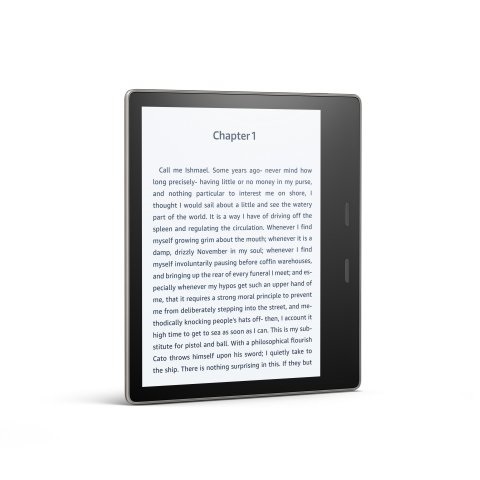 If you like new Kindle, then you should know you can already place a pre-order for it. Shipments are scheduled to start on October 31.